How to carry perishable foods on a multi-day trip, without it going rotten? We want to trek in a jungle for 4 days and we want to carry sufficient food for all days without it becoming rotten. Is there a special tool we should buy or a specific case to take into account in order to keep the food safe? We absolutely don't want to see rotten food in the 2nd day or so! What is your suggestion? What do you do to keep food fresh over multiple days? Well, question is not broad! Any food that is potential to become rotten needs a way to preserve it. For example lets say that we want to carry meat, egg, vegetables. I need a way to keep them healthy and fresh. Why you should say it is a broad question? How to carry foods with the potential to become rotten???? There are many methods of preserving food for days, weeks, or even years. Traditional methods include canning, pickling, smoking/jerky, and dehydration. There are modern counterparts to all of these. Canned food is not a good choice if you're carrying the food on your backs. Dehydrated and freeze-dried foods are your best bet, combined with non-perishable items that you might normally eat. Foods like crackers, roasted nuts, dried fruit, chocolate, granola bars, etc. are good for uncooked quick meals. You can purchase dried milk which can be reconstituted with water and eaten with dry cereal. For hot meals items like rice, couscous, and pasta are common. There are many types of commercially available prepared meals which you just add hot water to. The key is to avoid anything which would go bad without refrigeration. I suspect that if you look around your pantry at home you'll find all kinds of items you regularly eat that keep well without refrigeration. Four days isn't very long, and even things like bread and fresh fruit will keep over that amount of time, though they may be heavier than you wish to carry. Regarding your modified question asking how to keep perishable items safe to eat... there really isn't any way to do that. If it's perishable, it needs refrigeration. This can work in cold environments, but for trekking in the jungle, it's simply going to be impractical from a weight perspective. You're better off bringing non-perishable food items. 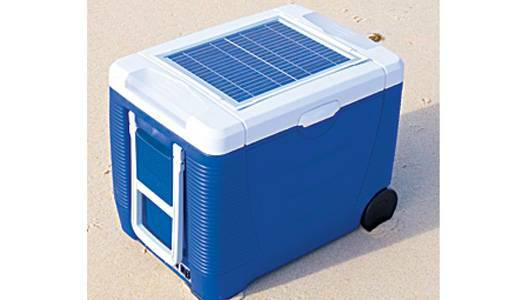 There are such things as solar powered coolers, which can keep your food cool without the necessity of carrying ice, or stopping at cool creeks to refill bottles in your cooler with cold water. 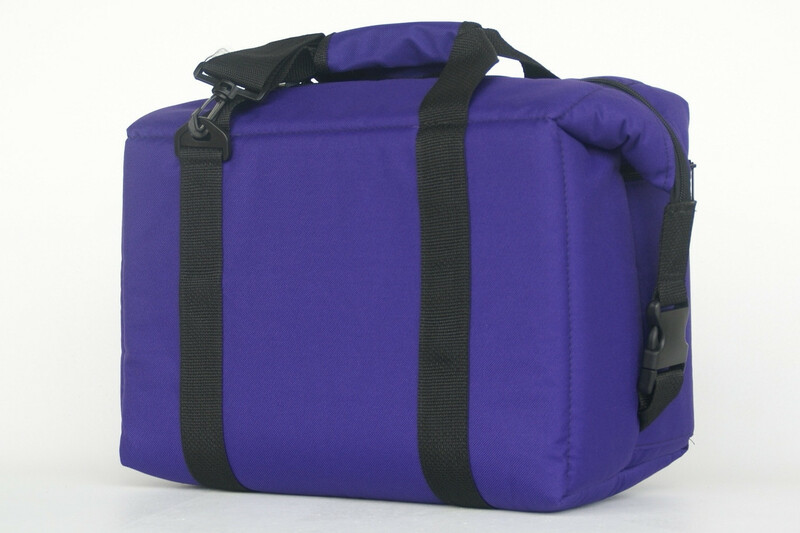 You can also pick up soft coolers, which are essentially insulated bags. The trick is to keep the food cold as long as possible, ideally you want to keep your food below 4°C, anything above 4°C has the potential for bacteria growth, so it's best to freeze everything that can be frozen (I even put the cooler in the deepfreeze for a night to maximize how long it stays cold) and pack the cooler full, as an empty cooler doesn't stay cool as long as a full one. You don't have to pack it full of food, but if you have any space left, you could shove your clothes or a towel in there in a bag to take up the space and help insulate. Also consider keeping a small thermometer in the cooler, and give it a quick check whenever you need to open it, make sure your food is always below 4°C if you're packing things like meat. Once everything thaws out, you're not going to be able to keep it cool for very long, so plan on eating all your fresh foods on the first couple nights. In the picture above we were backpacking to a glacier lake, so there was still snow in spots, and the water in the creeks was painfully cold, which made it easy to keep our food cold (hamburgers and veggies, the boys made the meal plan-we ate well on that camp). You just need to have someone in your company who's willing (or foolish enough) to carry the cooler. Well, you need to choose food which will keep that long without refrigeration (and, indeed, at the temperatures you expect, probably higher than normal room temperature), and you need watertight containers or packaging, either for individual portions or resealable (the jungle tends to be wet). You can buy freeze dried meals such as Mountain House or Backpackers Pantry, which come in the form of sealed, airtight packages that are easy to pack, lightweight, and easy to prepare. Not the answer you're looking for? Browse other questions tagged food trekking or ask your own question. How to preserve cheese while backpacking? Week long trek, how far each day? pace? How to record 2-day trek track when Garmin etreX 20 has limitation of 2000 points? How to carry fat, greasy foods like tahini sauce and peanut butter? How to carry a bow while hiking? How do you smoke salmon in the wild without a smoker? 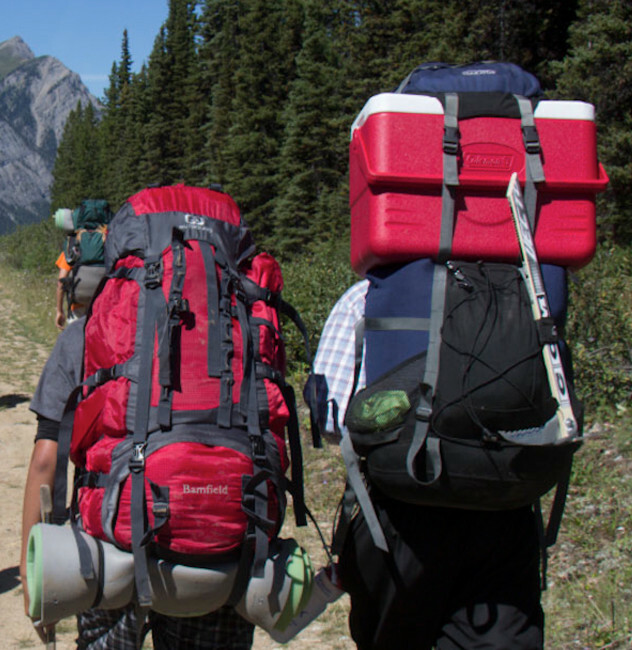 How do you deal with a picky eater on a backpacking trip? US Military's standards for how long a soldier can go without food?